As a child, your mom or lola probably applied Vicks or Katinko on you whenever you had a cough or when your muscles hurt. As a grown-up, you probably converted to paracetamols and other pain relievers to cure whatever physical pain you are in. Medicine tablets are definitely easier to carry around. Plus, you get faster and more noticeable results… at least, that was my mindset until I tried these locally-made, all-natural balms. Imagine a balm that smells nice, doesn’t cause any burning sensation on your skin, and works instantly. Wouldn’t it be nice if this very same balm was locally made, all-natural, and came in a packaging that doesn’t harm the environment? If it sounds too good to be true; well, it’s not. 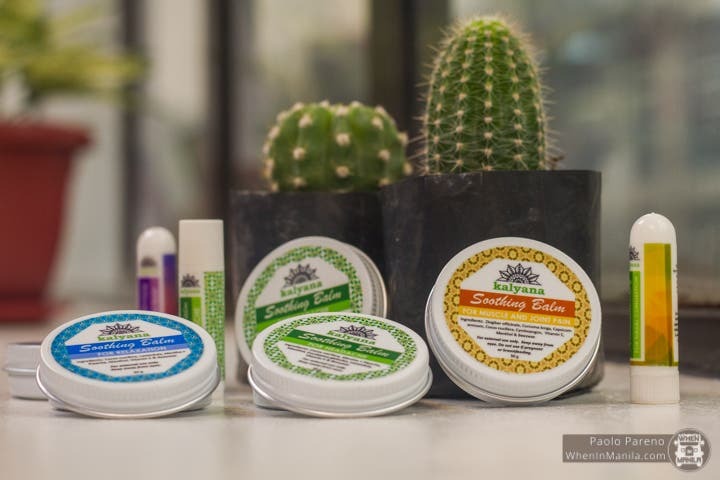 Kalyana is a local brand that sells soothing balms based on essential oil-blends to naturally help ease body pains and aches. The name “Kalyana” translates to “wellness” in Hindi and Nepali. The brand believes that anyone can avail of natural healing modes to help maintain a positive level of health and wellness. Their soothing balms come in three varieties: for headache, for muscle and joint pain, and for relaxation. All balms are packaged in tin cans instead of plastic to help save the environment. Here’s the thing: whatever you put on your skin matters because it will affect your health one way or another. When you use Kalyana’s soothing balms, you won’t have to worry about your body absorbing unknown chemicals because every single ingredient they use is natural. When Kalyana was launched in February 2018, they only had a soothing balm for muscle and joint pain. Since then, they have also added a variant for headaches and for relaxation. The variant for muscle and joint pain is best massaged over the area that hurts. Whether your back muscles are tense from working too hard or your muscles are strained from an intense yoga session, massaging the area with this balm should do the trick. For headaches, apply the for headache variant where you feel the pain. If the pain is on the back of your head, massage the balm onto your scalp. Feeling a throbbing pain on your forehead? Rub the balm there. Along with the sensation of your fingers massaging your skin, the balm is sure to ease the pain. You don’t always have to be physically hurting to use Kalyana’s soothing balms. If you’re feeling stressed or anxious, apply the variant for relaxation on your pulse points: neck, wrist, behind the knee, near the ankle joint, and foot. Simply inhaling the balm’s scent will help as well! Speaking of inhaling, Kalyana also offers aromatherapy inhalers for those who simply want to smell the balms. Kalyana’s inhalers come in two varieties: for nasal congestion and for stress relief. Inhale, hold for five seconds, and repeat as much as needed. Need an easy guide to help you remember how to use Kalyana’s products? Here’s a cheat sheet just for you! 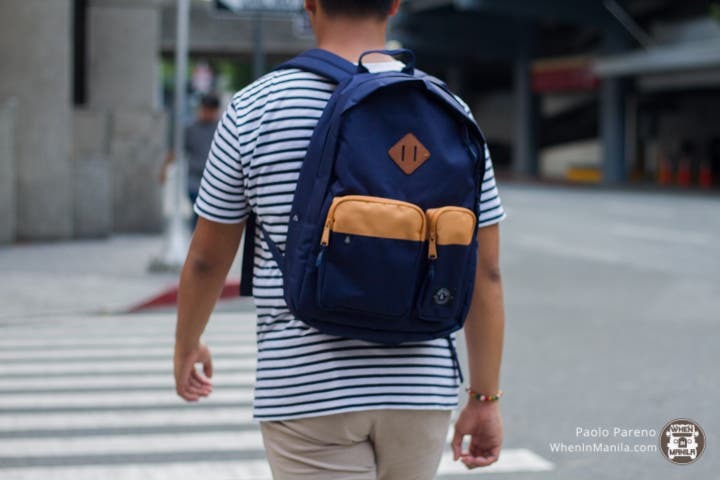 Brand-owner Kitchie Victoria-Villanueva is a practitioner of traditional Chinese medicine (TCM) and was mentored by former Department of Health secretary Jaime Galvez-Tan.